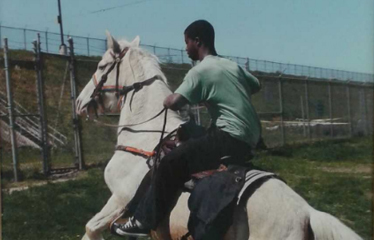 The project Horseday shows photographs, films and some sculptures of Mohamed Bourouissa (Bilda, 1978). For this project the French-Algerian artist worked together with a local community in Philadelpia (USA). Fascinated by the roll of horsemen, stalls and horses have there in black community, Bourouissa organised a competition for the best dressed up horse. The images refer to an idea of the classical, sometimes stereotype cowboy. The presentation in the Stedelijk Museum Amsterdam show in two rooms the rest of the installation of this project, for example with photographs, a filmprojection and pre-studies. Horseday appears in the context of the exhibitionseries Stedelijk Contemporary, in which a new generation artists are offered an opportunity to show new work.